Hi, and welcome to The Piano Player, the free E-zine of www.OnlinePianoCoach.com. In each issue you will get updates and news with tips and tools about playing and learning the piano. It's always a good idea to set aside some time to practice note reading. If done regularly, you will improve every time! I sightread at every lesson lots and lots of pieces for my students to select for their repertoire. This has for me been a great way to master sight reading. The key point is "lots of music". 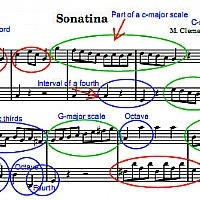 Selecting many, short and easy pieces, after learning some clever strategies for note reading in the articles below, and putting aside some time every day for- let's say a month?- a surefire recipe for note reading success! When learning a new piano piece it is important to learn the piano notes as soon as possible, so that we can focus more on expressing the music itself. 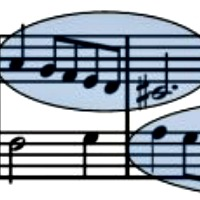 To learn a music composition fast, first of all you need to learn to identify musical patterns. Here are 6 Steps to help you play and read at the same time! Hi Maria, What a wonderful and extremely informative E - Zine. You have done a superb job in putting this together. 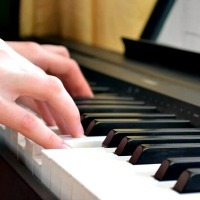 Here are great resources with free piano sheet music for beginners. I have selected some of the best sites where you'll find printable sheet music for piano in classical and popular styles. I'd love to hear from you. Just reply to this E-zine and tell me what you think, or what you'd like to read more about!